Below is the program for the evening of Saturday November 24th, 2018. But first, some bad news. Due to scheduling mistakes, we no longer have the Event Afternoon on November 24th. Sorry. There will still be the normal JAFWA session after 5PM. Since we are hoping to finish as many series as possible by the end of year, so that we don’t have too many cliffhangers lasting a month or more before we return in 2019, this week we will have two episodes of “Card Captor Sakura”. And to make things special, two episodes of “Overlord” season 2. And yet we still have room for another preview episode – this one being a write-in on one of the recent surveys. Thus we have already had one person trying to vote it in to the JAFWA program. And it is that time of month again. Before we hold the monthly Member’s Prize Draw, we will do our Dinner Break survey where we find out our dear JAFWAites attitudes on what JAFWA is currently screening and the various preview episodes that we screen. It is a simplistic system based on an ordinal scale, where you vote “1” for your favourite title, “2” for second favourite, and so on, for as many titles as you feel qualified to rate. The question has been raised again, is “Cells at Work!” too bloody to show early in the night, when we have our family friendly shows. Please add your opinions to our FaceBook page. All items in the original Japanese language with English subtitles. 8:20pm Sword Art Online: Alicization – series 3 Ep 5/? Comment on our FB page. Saturday November 24th 10AM-5PM — Perth Gamers Festival at Perth Town Hall. Then come to JAFWA afterwards. Sunday November 25th 9:30AM-1PM — Collector Zone Toy and Hobby Fair. Craigie Leisure Centre, Whitfords Avenue, Craigie, Craigie 6025. Saturday December 15th — JAFWA’s end of year marathon screening from ~1PM. Bunch of good stuff to see. March 9th 2019 — Next Perth Japan Festival at Forrest Chase. The long=awaited sequel. Sakura and Syaoran are starting junior high school. With the Final Judgment passed, Sakura thinks school life will be quiet, but then all her cards suddenly turn blank. The mysterious new power she discovers will change how she thinks about her powers. After showing to Akiho and the others the picture book she got from Rika, both Sakura and Akiho have another shared dream. Later, with Syaoran’s help, Sakura manages to capture the another card and rushes back home, unaware that her brother Toya has already realised that she is not in her room. Yue ends up again asking Toya again about the new powers he obtained. Eventually Sakura and Akiho take part in a reading session of “Buying Mittens” for children, and upon returning home, Sakura reveals that she used the card “Record” during the event. However, upon playing what the card recorded, an unfamiliar scene appears. A sign that Sakura’s powers have increased to an astonishing level. The need to contact Eriol in Engalnd is now vital. Arato sleeps in class, and treats the ubiquitous hIEs robots as if they are people, to the annoyance of his friends. But when 5 specialised combat hIE units make a break for freedom, the miltary can’t stop them. A late night shopping trip brings Arato into contact with one of these Lacia units, and her strange request. The world is a dangerous place for a red blood cell just trying to get her deliveries finished. Fortunately, she’s not alone… she’s got a whole human body’s worth of cells ready to help out. The mysterious white blood cell, the buff and brash killer T cell, the nerdy neuron, even the cute little platelets — everyone’s got to come together if they want to keep you healthy. The body suffers from heat stroke, leading to a heat wave inside and the supply of fluids being depleted. To make matters worse, a Bacillus cereus bacterium, who is not bothered by the heat, invades the body. While the other cells struggle to cope with the extreme heat, White Blood cell U-1146 pursues the bacterium, but grows fatigued. How will our favourite cells deal with golbal warning? Ichiro Suzuki is a programmer who was tasked with fixing several bugs in two MMORPGs his company is preparing for publication. While taking a nap, he somehow wakes up in another world as Satou Pendragon, with what looks like the menu screen of the game he was working on appearing before his inner eye. Due to cheat codes, his level jumps to 310 and he becomes extremely wealthy. Satou decides to hide his level, and plans to live peacefully and meet new people. However, the return of a demon king, may cause a nuisance to Satou’s plans. It is happy travelling as Satou and his retinue take Mia back to the Elf village. However strange memories assail him, and some of his experiments with his assorted abilities leave him in embarrassing situations. 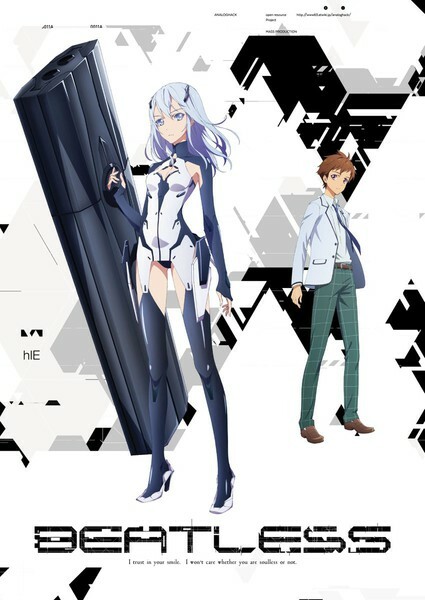 Kazuto has been recruited to assist in testing an experimental FullDive machine, Soul Translator (STL), which has an interface that is far more realistic and complex than the previous machine he had played to help develop an artificial intelligence for the Ministry of Defense (MOD) named A.L.I.C.E. He tests the STL by entering a virtual reality cyberspace created with The Seed package, named UnderWorld (UW). In the UW, the flow of time proceeds a thousand times faster than in the real world, and Kirito’s memories of what happens inside are restricted. A flashback to events on the outside, after being poisoned by Johnny Black, Kirito is taken to a hospital. After treating him, the doctors inform Asuna and Kirito’s family that he is stable, but unconscious, and it’s unknown when, or if he will ever wake up. Kikuoka then approaches them, offering to transfer Kirito to a better facility, but when Asuna and Suguha pay a visit to him there, they are denied from seeing him. The series is set in modern-day France, and follows the thief Arsène Lupin III, and his associates the marksman Daisuke Jigen, the swordsman Goemon Ishikawa XIII, the con artist Fujiko Mine along with his nemesis Inspector Koichi Zenigata, and are joined by the Ami Enan, a teenage hacker. At Gaston’s grave, Lupin and Jigen encounter Camille Bardot, an ex-investigator with a phenomenal photographic memory and an old acquaintance of Gaston. After receiving a telephonic challenge from Albert, the three of them find themselves targeted by a number of assassins. Since appearing in another world, Ains has sent out daily commands as the ruler of the Great Tomb of Nazarick. He also maintains his alter-ego Momon, the strongest adventurer in E-Rantel, to gather funds and keep an ear to the ground. He sets out on quests considered suitable for a adamantite class adventurer, like defeating the Gigant Basilisk. The Lizardmen celebrate victory; Zaryus & Crusch are alone in a tent blushing, when Zenburu barges in wondering if their “having fun”- much to their shock. Back in Nazarick, Ainz introduces 8th Floor Guardian ‘Victim’ to the others, to prepare for unforeseen encounters. Lastly, as Cocytus was defeated, Ainz explains he gave Cocytus a weak army so he’d learn to adapt & reapply resources as a leader. But Cocytus must face punishment: he is to eradicate the Lizardmen. Cocytus instead asks the Lizardmen be spared into servitude of Nazarick. The next day, the Guardians & Ainz himself return to the battlefield in a grand show of force: freezing the lake, and setting an appropriate throne stone in place, before informing the Lizardmen of their fate. The Lizardmen champions- The Shasha Brothers, Zenburu, with Kyuku Zuzu and Sukyu Juju (Razor Tail & Small Fang Chieftains respectively) prepare for battle with Cocytus. Shalltear gets her long wished for punishment. Demiurge was successful in making higher quality scrolls using Sheep Beastmen. It’s the year 1999, 11 years after Jotaro Kujo’s desperate fight against Dio in Egypt. Jotaro meets with Josuke Higashikata, the illegitimate son of his grandfather Joseph Joestar. He discovers that Josuke also has the same “Stand” power and that a new threat is surfacing in Morioh City. As Kira brags about his victory to Hayato, he will unknowingly reveal his own identity to Josuke, who Hayato had secretly called ahead of time. Needing Killer Queen to protect himself, Kira is forced to undo Bites the Dust. But is it in time to prevent Rohan from being killed by its effects? Thus Kira engages in battle against his most dangerous opponent – Josuke and Okuyasu.